Best4Video Creative Zen Converter is really a great conversion device that offers straightforward, efficient, and simple method to convert just about any video or audio files to your Creative Zen. This product supports large number of common video file formats, including FLV, AVI, WMV, MKV, MP4, TiVo, etc. and provides very fast conversion speed and great output quality. With the help of Best4Video Creative Zen Converter you can effortlessly convert your favorite movies or music for your Creative Zen gadget regardless of its model. 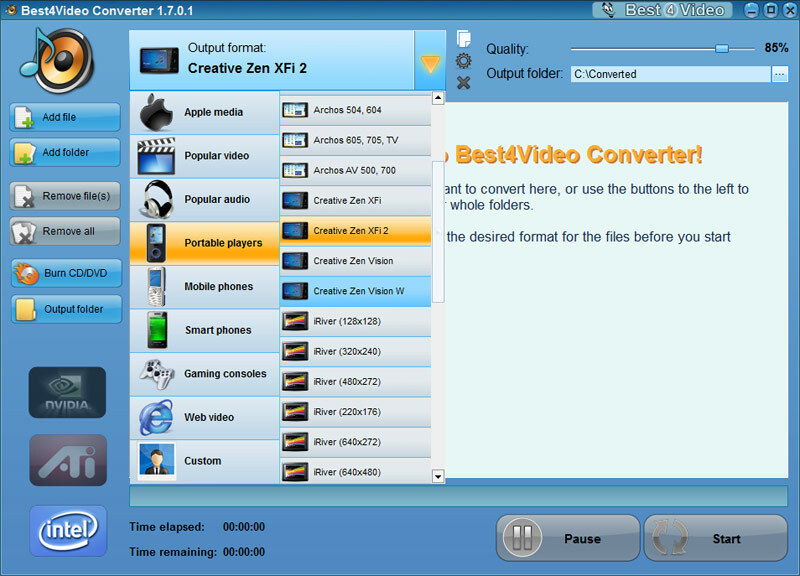 Best4Video Creative Zen Converter is a simple to use application with straightforward and handy interface that makes it simple and also convenient to apply. Both video and audio conversions can be executed using just a couple of clicks, with no a need for making any supplemental adjustments — just about all you have to do is to pick one of several built-in Creative Zen conversion profiles according to your Creative Zen model and quality preferences, and Best4Video Creative Zen Converter will do its best to help you enjoy your best music and films on your favorite gadget. Easy to use tool: easy to install and easy to use. All sorts of video and audio conversions are carried out quickly with a couple of clicks. Changeable output settings for obtaining the best results: you can pick output format and quality according to you own desires and tastes. The alterations that you make are reflected in the picture preview giving the visual demonstration of the way the converted files will look on your Creative Zen. Rapid conversion: Best4Video Creative Zen Converter substantially saves your time, delivering highest possible conversion speed. Perfect quality: all video and audio files are converted with the best quality your Creative Zen can deal with. 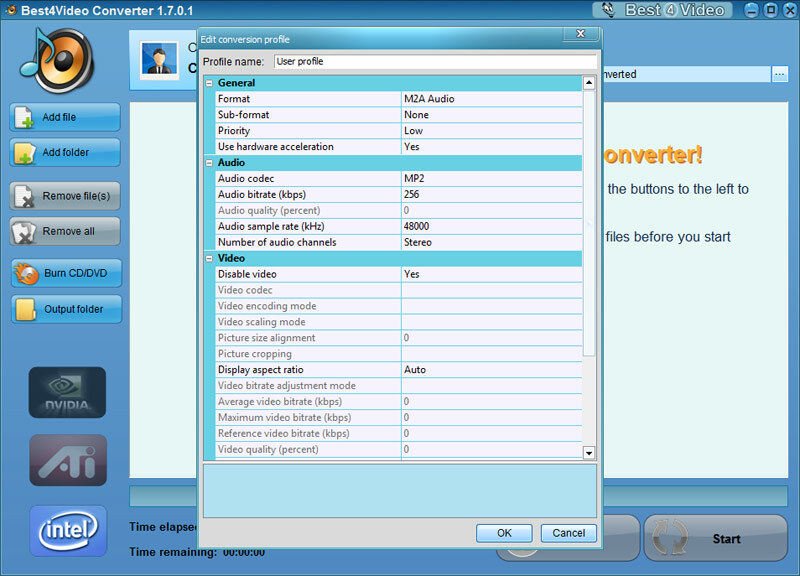 Batch conversion mode providing ability to convert big music and video selections quickly and easily. Best4Video Creative Zen Converter was created specifically to make video and audio conversions for your Creative Zen accessible, speedy, handy, and quickly done. No longer you have to bother yourself with all the complications of incompatibility relating to the media files and your favored gadget — with the help of Best4Video Creative Zen Converter you'll solve those issues with just a few mouse clicks and enjoy your favorite audio and movies on your Creative Zen.